Eugeni Bonet (b.Barcelona, 1954) is a Spanish writer, curator and artist, who works with film, video and digital media. Between the years 1973 to 1980 he made several experimental films and videos that have been screened at cinematheques, museums and film festivals in Europe and America. He then wrote and directed different audiovisual programmes (on video, television and slideshows) on contemporary art, such as: Duchamp (retard en video) (1986-87), broadcasted by TV3 in 1987; the Lecturæs de Cirlot series (1997-98), awarded at the video festivals of Vitoria-Gasteiz and Navarra 1998, and at the Mostra d'Arts Electròniques de Catalunya 1998 with the ACEVIP award (Associació Catalana d'Empreses de video Professional); U-Session (2002), video and installation part of an open project with music composer Eduardo Polonio. In 2004 he completed the 35mm feature film Tira tu reloj al agua (2003-4), made from unseen or unfinished footage by the Andalusian filmmaker José Val del Omar (1904-1982). This film was selected by the London and Mar de la Plata Film Festivals and was premiered in several venues in Barcelona (Cines Boliche, October 2005). He has collaborated in the Tv series El arte del video (TVE 1988-89) and in the CD-ROMs Muntadas: Media Architecture Installations (Centre Georges Pompidou / Université de Paris-I 1999) and ArteVisión: Una historia de las artes electrónicas en España (MECAD, Sabadell 2000). He has also worked in the conception and contents of several websites on the work of Antoni Muntadas and José Val del Omar. Bonet is the curator of several audiovisual programmes and exhibitions, such as: Desmontaje/Demontage (1993: touring different Spanish cities and The Hague, The Netherlands), Múltiplas Dimensões (1994: exhibiton of multimedia installations during the “Lisboa 94, Capital Europea de la Cultura” events), Señales de video (1995-1997: touring Spain and Latin-America), El cine calculado (1999: touring several Spanish cities), Movimiento Aparente (2000: EACC-Espai d'Art Contemporani de Castelló), Calculated Cinema 2.0 (2001: Cinémathèque Royale de Belgique, Brussels), Comer o no Comer (Salamanca 2002, curator of the exhibition's audiovisual area), Próximamente en esta pantalla: El cine letrista, entre la discrepancia y la sublevación (2005: MACBA-Museu d’Art Contemporani de Barcelona), Gustavo Romano: Sabotaje en la máquina abstracta (2008: MEIAC-Museo Español e Iberoamericano de Arte Contempráneo, Badajoz), Desbordamiento de Val del Omar (2010: MNCARS-Museo Nacional Centro de Arte Reina Sofía, Madrid; Centro José Guerrero, Granada, and more to be determined). 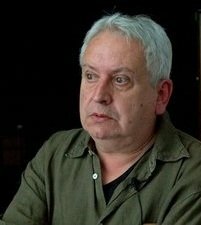 He is the co-author of the books En torno al video (Barcelona 1980; México DF 1984) and Práctica fílmica y vanguardia artística en España, 1925-1981/The Avant-Garde Film in Spain (Madrid 1983), and has been the editor for the publications in many of the exhibitions he has curated. Many of his writings have been published in different collective works art catalogues and periodicals, and he is currently preparing the publication of a volume compiling his major writings. Bonet also teaches and participates in many seminars, courses and lectures. Durign the years 1999-2003 he was associate professor at the College of Fine Arts of the Universitat de Barcelona. In 2005-2006 he was director for a postgraduate course on videoart and its applications for the Universitat Ramon Llull in collaboration with MACBA.